As anyone reading my post will have noticed by now my certain lack of new posts!!. Well David Gaughran can be blamed for that. In case anyone missed the great competition that he ran through Twitter the link is at the top of this post. As you can see it was moi!! who won all 32 books. Saying I,m trilled is an understatement. So i have more books to read right now than I have time in the day to read them, isn’t that a great complain!! I am sure I will do my best to get through them. I have added a new widget at the right side with a image and a caption of the book I am currently reading. I would recommend David Gaughran’s blog to follows, not just because he is an author but his marketing skills and tips are excellent. All things technical will still be included as usual if not on here it will be a link on twitter. 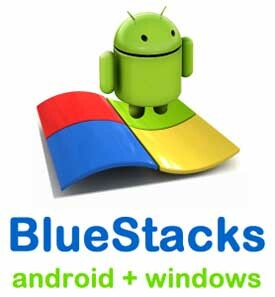 I have just installed the new beta Bluestacks to my windows computer, free to use while its a beta edition ( means a trial run). Working great so far, it synced with my HTC Desire mobile phone without a problem and now all my apps are also on my windows computer to use or play with as well, pretty neat. came to look it over. I’m definitely loving the information. I’m book-marking and will be tweeting this to my followers! Excellent blog and wonderful style and design. I am not sure the place you’re getting your info, however great topic. I needs to spend some time learning more or figuring out more. Thank you for fantastic info I used to be searching for this information for my mission. Good Point, I would agree only so much can be done with a small processor anyway. Its just one of the cheapest ways to hopefully get a little more ump!! outta your machine. I believe this web site has some real excellent information for everyone :D.
Nice post. I was checking constantly this blog and I’m impressed! Extremely helpful information specifically the last part 🙂 I care for such info a lot. I was looking for this particular information for a very long time. Thank you and good luck.